Clearly, the arrival of alternative powertrains has far-reaching implications for lubricant products. Depending on who you talk to, the trend towards electrification is either at a tipping point, or slow and sluggish — leaving the internal combustion engine (ICE) to dominate for years to come. There is no clear consensus and a raft of projections. Bloomberg, a privately held financial, data and media company, forecasts a 50% increase in annual global light duty vehicle sales between 2015 and 2040 — rising from 80 million to 120 million. The Bloomberg New Energy Finance’s 2017 Long-Term Electric Vehicle Outlook, an annual analysis of how electric vehicle (EV) adoption will impact automotive and energy markets, highlights 2025 as the likely timeframe in which we will witness a notable rise in EVs, growing to half of the market by 2040. Battery electric vehicles will start to leave plug-in hybrids behind about the same time, they claim. Dr. Edward Becker, past president of the Society of Tribologists and Lubrication Engineers (STLE), speaking at NLGI’s 85th Annual Meeting from June 9-12, 2018 in Coeur d’Alene, Idaho, provided his perspective on the status of hybrids and electric vehicles with a specific focus on lubrication challenges of each powertrain. Becker submits the timeframe from “first significant use” of many existing fuel economy technologies to reach saturation or plateau is typically “somewhere around 15-20 years.” If electric vehicles follow the same trajectory we will all be driving them in the next 15-20 years, he suggests. 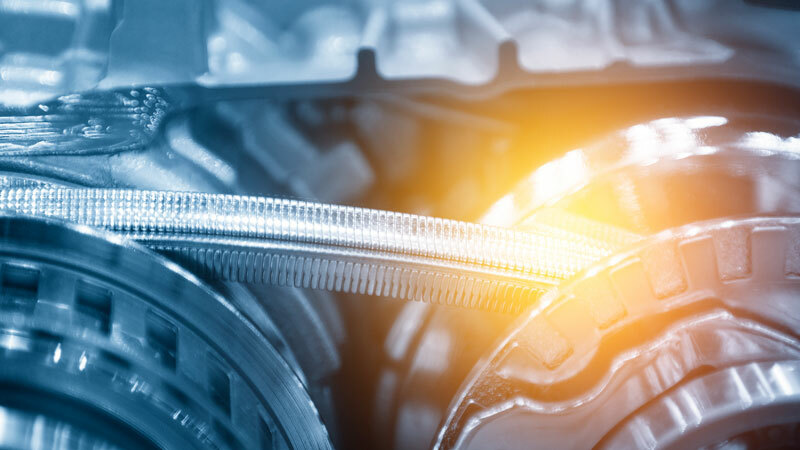 Boasting three decades of experience at General Motors (GM), primarily in the powertrain division, the former GM employee outlined three specific phases of powertrain evolution during his presentation. A significant focus over the past five years (2012-2017) has been on downsizing and turbocharging, low-speed torque enhancements, increased transmission gears, and ongoing friction reduction. During this period, hybrid electric vehicles (HEV) and plug-in hybrid electric vehicles (PHEV) have generally been viewed as a niche technology. To 2025, Becker signposted an ongoing focus on high efficiency advanced combustion ICEs with combined turbo/supercharging capability, alongside low carbon fuels — delivering fuel economy enhancements in the region of 10%. PHEVs will continue to advance in premium and performance products, with increasing adoption of EVs in urban environments. Beyond 2025, PHEVs and HEVs will dominate, alongside the emergence of practical EV charging infrastructure. Moreover, the eventuation of self-driving technology is inevitable, says Becker. Modern cars are already taking control with features such as independent braking and steering and — despite a few high-profile setbacks — the data suggests the technology is up to 10 times safer than you or I can be, pronounces Becker. What do these changes in powertrains mean for lubrication? Becker, a PhD in Mechanical Engineering from the University of Michigan, suggests grease requirements will remain “pretty much the same” for hybrids and EVs. Wheels, closures, doors and windows will all continue to be greased in sealed-for-life electric motors, he says, and the grease market for accessories such as power steering and air conditioning will sustain, claims Becker. However, there are a variety of new lubricant challenges. Operating both an ICE and electric motor comes with certain challenges. Obviously, hybrids still require engine oil. Though, the stop-start hybrid experience means the engine only starts when required — resulting in lower average operating temperatures. This can create issues with fuel dilution, and water getting into the fuel, discloses Becker. Further, a reduced engine temperature can impair the performance of anti-wear and antioxidant additives — designed to activate when oil temperatures exceed (approximately) 250 degrees Fahrenheit, or around 125 degrees Celsius. Electric motors usually employ conventional transmission fluid to lubricate motor bearings. A key advantage of EVs over ICEs is at launch, says Becker, with the ability to generate maximum torque at zero RPM. Conversely, an ICE requires higher revolutions to deliver sufficient rotational force. However, Becker warns that the torque capability of EVs can cause wear issues and may necessitate torque-limitations. The Tesla Model S limits torque at low RPMs. While the Palo Alto, Calif., U.S.A.-based company claims this is deliberately employed to limit wheel spin off their single-speed gearbox, Becker believes this admission is “nonsense.” Modern vehicles have electronic traction control, which already limits wheel slip. The founder of Friction & Wear Solutions, LLC, theorises a wear problem resulting from high torque, citing owner data that indicates two-thirds of the earliest Tesla drivetrains required replacement within 60,000 miles. For maximum efficiency, an electric engine must operate towards the top end of the speed capability of the motor. GM electric motors are created using a permanent magnet approach. To avoid limiting high-end speed while maintaining efficiency, GM opts for a multi-speed gearbox with conventional transmission fluid lubricating an open bearing where the fluid circulates, not a grease bearing. Becker notes the importance of boundary lubricants and additives to protect engines under high torque or with maximum torque at zero speed. Range, cost and charging time are further drawbacks of electric vehicles. Even ‘high speed’ charging only provides an 80% charge in around 20 minutes. A further complication of electricity, says Becker, is heat generation. The faster you charge the more heat you produce, a serious problem at higher speeds. These limitations have clear implications for lubrication — such as range extension and temperature control. However, Becker, a fuel cell advocate, also questions whether battery technology will overcome these constraints sufficiently to become the accepted long-term technology for propulsion. Looking to the future, an important consideration is compatibility with new materials, particularly copper and other winding materials. Ensuring the “structures that hold these things in place” remain lightweight is vital, thus Becker advises we will witness a rise in the usage of advanced polymers. Typical temperature ranges specified by most vehicles are -40°C to +40 °C, though in certain situations temperatures can exceed these values. “We need to be prepared for extreme temperatures,” says Becker. Permanent magnet motors are temperature limited and exceeding a pre-defined temperature will cause demagnetization. Thankfully, these engines are designed to remain within a threshold. Induction engines, as in the case of a Tesla Model S, can tolerate excursions beyond temperature limits for a short period — therefore the lubricant must also. “Go with someone using a permanent, magnetic motor as they’re going to have temperatures you know you will never get above,” offers Becker, perhaps showing a slight bias towards his former company. The interaction of electric and magnetic fields with lubrication is another new area of study, one which he suggests we need to keep a close eye on.